In her Mansion House speech on March 2, British prime minister Theresa May insisted that the Brexit referendum result 'was a vote to take control of our borders'. At the same time, her government has repeated ad nauseam that there will be 'no hard border' between Northern Ireland and the Republic of Ireland. But the question that continues to haunt the Brexit negotiations is whether the UK can leave the EU’s single market and the customs union without erecting a territorial land border on the island of Ireland. The text of the deal reached between the UK and EU in December 2017 included a formula to 'square the circle'. It stated that the aim of future negotiations would be to address the challenge of the Irish border through the overall EU-UK relationship. If the final withdrawal agreement finds it impossible to provide for a frictionless invisible border, then 'specific solutions' will apply to Northern Ireland. But if the UK and the EU cannot agree on those specific solutions, then Northern Ireland will remain aligned to the single market and the customs union. That third 'backstop option' was legally codified in a protocol contained in the Draft Withdrawal Treaty published by the EU on February 28. It said that if no specific solutions were found, a common regulatory area comprising the EU and Northern Ireland would be established and the region would remain in the EU customs territory. May quickly rejected the plan, saying it 'threatens the UK constitutional integrity'. But that’s not strictly the case. Under EU law, there are a number of cases where different parts of a member state might have different relationships with the EU. These include special territories, such as a set of Swedish-language islands in Finland and Spanish cities in Africa. For either historical, geographical or political reasons these territories have a different relationship with their national governments – and therefore with the EU – than the rest of the member state’s territory. The sovereignty of a member state over these areas has never been challenged. For example, the fact that EU law does not apply in the same way to the French Overseas Territories as it does to the French mainland, does not in any way question France’s sovereignty over those territories. The UK itself has made extensive use of this flexibility. Gibraltar, the Channel islands and a number of other overseas territories have a different relationship with the EU than the UK. Such 'differentiated' membership to the EU has not undermined the constitutional relationship of those territories with the UK – and so a similar solution for Northern Ireland after Brexit would not threaten the UK’s constitutional integrity. Because of the Good Friday Agreement, Northern Ireland already enjoys a unique constitutional status. It is the only UK region that enjoys a right of secession and its governance entails the close co-operation of its communities, the UK and the Republic of Ireland. The EU’s 'backstop option' is a specific arrangement that respects and protects this existing sophisticated constitutional architecture. It’s a pragmatic solution to the specific circumstances of Northern Ireland rather than a staging post towards a united Ireland or an annexation of the region to the EU, as some have claimed. Contrary to conventional wisdom, such status would not even be unique. The UK government seems at least amenable to the idea that another region with a constitutional relationship with the UK will remain within the EU customs territory: the UK Sovereign Base Areas in Cyprus. Similar to the situation in Ireland, if those two base areas follow the UK outside the single market and the customs union, there will be a hard border on the island of Cyprus. This is why the UK and the Cypriot governments are currently negotiating how they can preserve the special EU status that those regions have enjoyed since Cyprus joined the EU in 2004. While they are part of the EU customs territory, the EU treaties do not apply to them. In the past, there have been some rare cases where a region of a third country was part of the EU customs territory. For instance, because of their geographical position, the Austrian territories of Jungholz and Mittelberg were part of the EU customs territory since it was established, long before Austria joined the EU. All this does not mean that the 'backstop solution' will be completely unproblematic. Apart from a number of practical issues that would have to be solved, a Brexit in which Northern Ireland remained in the customs union and the rest of the UK was outside it, could create tensions for economic integration. The easiest and most effective way to solve this Gordian knot entails the UK remaining in the single market and the customs union. The prime minister, however, in her speeches at Lancaster House, Florence and at Mansion House has ruled this option out. 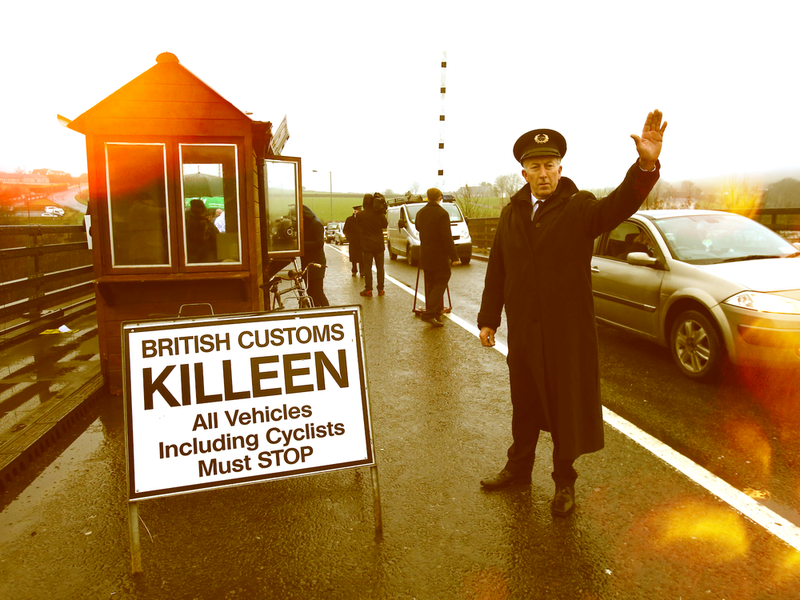 No current technological solution for the border issue has so far been presented as a convincing alternative that could ensure frictionless trade. Against that background, perhaps May’s vehement rejection of a solution that respects Northern Ireland’s unique status is actually threatening, rather than protecting, the constitutional integrity of the UK. This article was first published in The Conversation on 6 March 2018.